Does anyone remember Circuit City? It was one of the top U.S. electronics retailers that went out of business in 2009, as it couldn’t address the new-age needs of the customers. It finally succumbed to its inability to respond smartly and skilfully to the growing popularity of online retailers like Amazon.com. As consumer experience goes through a chain of transformations, the retail sector has to get geared up accordingly to deal with the changes. Traditional retailers and giants like Walmart have spent over a decade and innumerable billons to restructure and revamp their brick-and-mortar businesses to address the needs of the online shopper. In August 2016, Walmart, world’s largest retailer and a predominant player in the big-box stores category announced its $3.3-billion-dollar deal with Jet, the year-old online bulk retailer. It has been cited as the largest deal ever for an e-commerce player. While the deal got sealed, Walmart management acknowledged that its online strategy was not generating the desired results and they required external technology and expertise. At the same time, strong online brands like Amazon are taking a reverse route with a view to reinforce ‘Omni-channel’ retailing. Amazon created news when it opened its first physical bookstore in Seattle’s University Village. This practice has been observed across various online brands, who have opened their physical stores. The objective is to provide seamless experience to customers across physical, online, mobile interface. However, this poses additional challenge for retailers. These are amongst the many challenges that the retail sector is facing in the wake of the evolving consumer demands and preferences. As some industry experts say, Out-of-the-box thinking for enhanced productivity and competitive advantage continues to remain a challenge for the retail sector. This is where technology comes to rescue, and when technology has to play an integral part, it needs to get tested for the desired performance. Whether it is a brick and mortar outlet or an online ecommerce platform, IT has been enabling retailers to tackle market challenges and attend effectively to consumer demands. What is the criticality of IT/technology in the Retail sector? In literal terms, technology works for you 24*7, which is not expected from a human. Know your customer: While the customer shops at your store, goes to the billing counter and while the items get scanned at the Point of Sale (PoS), the retailer gets every possible data to know the customer better and predict the possible preferences. Segmentation of such purchase patterns further enables retailers to gauge the inventory flow that helps to order the required stocks and avoid any out of stock situation. Planned approach: With the right technology platform in place, retailers get equipped with well-analysed information for enabling the business. This further helps get the right results within timelines. Leveraging the right Technology platform helps manage activities and strategize effectively across offline (physical stores) and online stores. Omni-channel approach: Whether the customer is shopping online or offline, technology platforms help retailers to offer consistent and seamless experience. It further helps manage and control activities from a single dedicated space, which not only provides ease of business, but also turns out to be cost-effective. Seamless customer experience: Ecommerce is rapidly evolving and posing innumerable challenges for the long established retail brands. One of the key factors that e-commerce players are able to offer is flawless and personalized online shopping experience. Online shopping portals are increasingly getting interactive and responsive to the customer needs – right from offering impressive options, ordering, immediate cancellations/exchange, and much more. That’s why they say, online retail is here to transform, but IT/technology is its biggest Enabler. Some of the key reasons why some retail biggies fail is that they are unable to harness the technology effectively. What works best is to on-board the required technical, implementation, and test automation expertise to make the technology platform work for you! The digitally connected universe and the mobile-enabled consumer is changing the shape of the retail industry. The retail industry is exceptionally challenged with high operational overhead and lower profit margins. The overheads comprise, maintaining a chain of retail stores, where the profits expected could be absolutely miniscule. At the same time, IT systems are expected to provide the same levels of quality as across any other industry. Considering some peculiar challenges that the retail domain has been facing, it demands a much more mature software Testing approach. A strong and seasoned testing partner can build an efficient Software Development Lifecycle (SDLC) process that accelerates software development and build comprehensive testing strategy. Testing of legacy systems: What customer needs is a one-stop shop, where the retailer is big or small, it has to store massive loads of merchandise. Large retailers work with IT systems designed almost 20-30 years back, endlessly releasing software. This makes testing complex and test coverage not so effective. 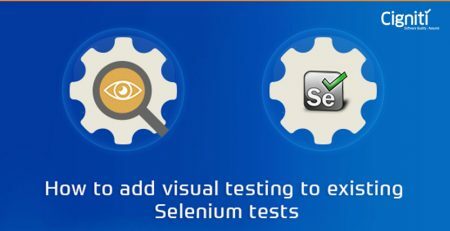 This requires end-to-end testing process to effectively test all applications. Managing promotions: While the retailers promote various promotional coupons or activities, it is imperative to offer them online and manage the activities seamlessly across online and offline platforms, where the required IT applications need to get aligned and functional across multiple retails channels. If there is a delay or an error in configuring and testing the applications, it can adversely impact time-to-market. This requires continuous testing for efficient performance and desired outcome across platforms. Online security & Mobile POS Security: There is an increasing need to establish secure presence across the online platforms. This requires secure software development practices and testing practices that create a security testing framework and tools to make the web/mobile interface secure for the customers. Moreover, the increasing number of POS applications, POS credit card enabled mobile apps, credit card reader devices, and NFC technology, demand thorough security checks for the core infrastructure. There is an additional need to conduct 24*7 application testing across all retail POS applications. Independent software testing with effective implementation of Test Automation Center of Excellence (CoE) is the need of hour. Considering there is a constant need to conduct tests across technology platforms and devices, automating tests for effective and consistent results is a much needed approach. The marketplace is flooded with licensed as well Open-Source test automation tools to accelerate time-to-market and ensure quality with cost-effectiveness. In addition, automating the tests further helps ensure performance of the applications that are expected to give recurring results across stores, e-portals, etc. One of the leading home furnishing and décor retailers in US teamed up with Cigniti’s Test Automation experts to reduce their overall testing efforts with improved quality to deliver enhanced customer experience. The retailer needed a mechanism to establish best QA practices to ensure superior experience for its end customers and most importantly sustain in the rapidly evolving retail scenario. Cigniti leveraged the right combination of tools, best practices, and test methodologies to meet business objectives of the client. Our reusable solution assets further helped to cut the engagement costs over a period of time. The client was able to reduce the testing budgets by 30% by leveraging Cigniti’s Retail CoE expertise. Cigniti takes precedence in providing Test Automation services and has built a dedicated Automation Center of Excellence (ACoE) that is backed by a decade of experience in executing test automation engagements for global clients. At Cigniti, we have been working with leading enterprises in North America and have served Fortune 500 enterprises & ISVs. Enterprises operating across industries have being leveraging Cigniti’s Advisory and IP-led Independent Software testing services to gain higher ROI from their Quality Assurance initiatives. 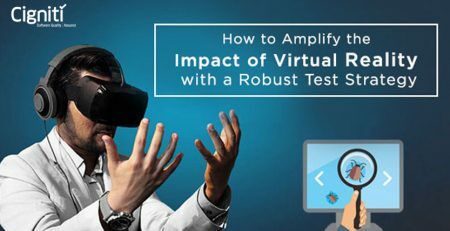 How to Amplify the Impact of Virtual Reality with a Robust Test Strategy? 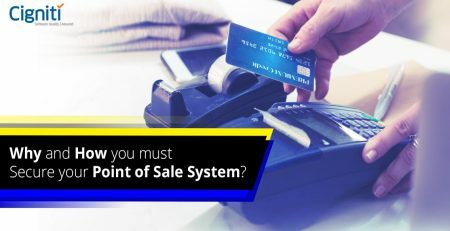 Why and How you must secure your Point of Sale System?